OffHunting.com is your guide to adventure worlwide: China, Africa, South America, Australia. 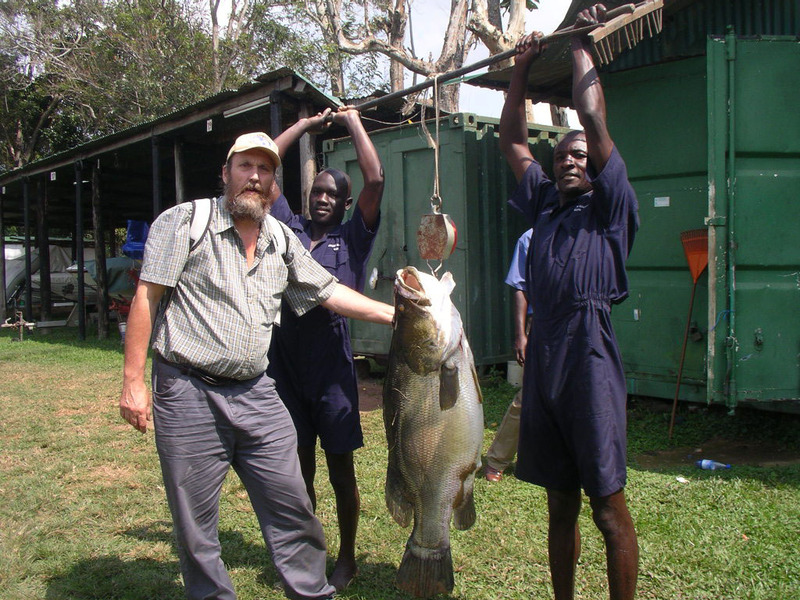 Uganda is an ideal fishing destination. With one third of the country covered by water; there is great opportunity for sport fishing. 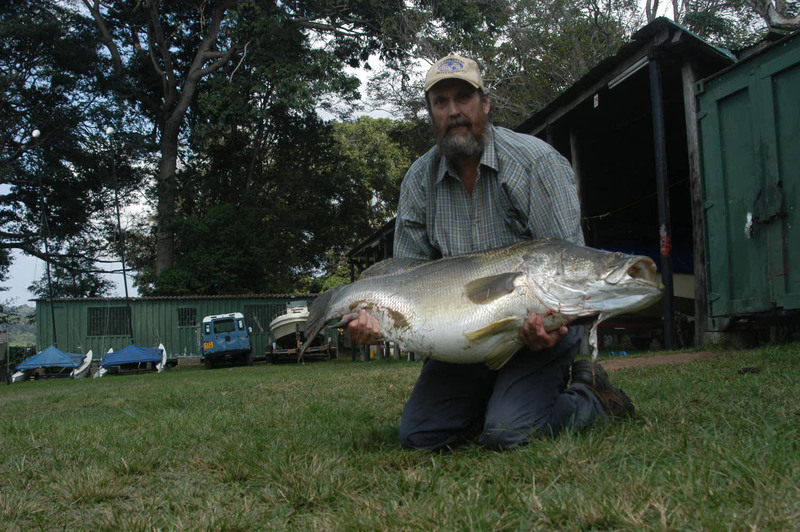 Avid fishermen from around the world return time and again to Uganda, unable to resist the lure of the gigantic Nile perch, of which many specimens come in at more than 100kg in weight, the largest fresh water game fish in Africa. Travel by motorboat onto Lake Victoria, the second largest lake in the world, for an exciting day of fishing for Nile perch or tasty Tilapia (minimum 4 people). For those with more time, we can take you to Murchison Falls National Park for a unique and astounding fishing experience. Only here, on the Victoria Nile, can one feel the excitement of pulling in a 100kg fish while at the base of the most powerful natural flow of water anywhere on Earth, the picturesque Murchison Falls. Other game fish found in the Nile include Barbel, Electric Catfish and Tiger fish. We offer professionally run fishing trips in Uganda on Lake Victoria and the Nile River in Murchison Falls National Park. Trolling with lures is the method of fishing used. All the necessary fishing tackle for Nile perch trolling on the lake is provided, but anglers are free to bring their own equipment. Lake trips can be enjoyed by everyone from those with no previous experience to those who are looking for a new destination. At Murchison Falls National Park fish are caught on live bait or with casting lures including Nile perch and various species of cat fish. There are also a large variety of smaller species, (used as live bait), obtained by spinning including tiger fish. Fishing is either from the river bank or from a boat at the base of the falls area. This fishing is generally done over a few days and can be very exciting but it does require some experience and also a certain level of fitness due to the terrain. 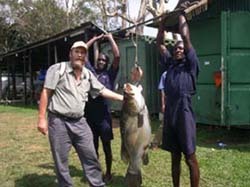 Fish Caught / Methods - Nile Perch. From approximately 10 -100kg in weight. Trolling with lures is the main method of fishing used. You can also catch tilapia using fly fishing techniques. Tilapia are about 1-2kg in weight. All tour highlights - Ground transportation with the services of an English speaking driver / guide - Use of the fishing boats - Reasonable quantity of hot and cold water - Services of a local fishing guide - Fishing equipment for trolling up to 4 person fishing at a time on board - Park fees - Meals as indicated - Activities and accommodations as mentioned in the itinerary. Airfare to and from Uganda - Visa to and from Uganda - Travel insurance - Fishing equipment while in Murchison (see rental fees below) - Beverages - Any activity, meal or accommodation NOT mentioned in the itinerary - Tips - Souvenirs - Items of a personal nature. Fishing Equipment - is not included in the above prices as there is a variety of different types required, depending on the fish species and size anglers seek. A limited amount of equipment is available for hire from us at between US$ 20-30 /day/rod & reel (lost or broken lures charged in addition) depending on type and quantity required. Day 1: Upon arrival at Entebbe airport, the group will be met by our representative and transferred to Windsor Lake Victoria Hotel [approx, 10 minutes drive]. After check  in, time at leisure. Day 2: After breakfast, drive to the Uganda Wildlife Education Centre [Zoo] for briefing and onwards to the pier where we depart at 0900hrs: All day fishing on Lake Victoria is done around local islands: The areas fished will depend upon the weather and how the fish are biting: Lunch will be sandwiches, hot dogs, salad or similar served on board the boat moored in a shady spot in an island bay. Beers, mineral water and sodas are available on board as well as tea and coffee: Anglers are free to bring along additional drinks if required. Day 4: After breakfast, start the scenic drive north-west to Murchison Falls National Park. Covering 3,840 sq kms of savannah, rainforest and hills, this is Uganda's largest park. In the afternoon we will visit the "top of the falls" for your chance to view the magnificence of the Nile. The park is cut into half by the famous River Nile where it has to squeeze itself through the legendary Murchison Falls, an impossibly narrow 7 m gap in a cleft rock creating a powerful explosion of white water. The Falls are believed to be the most powerful natural flow of water anywhere on earth. Evening game drive, where you may see elephant, lion, buffalo, giraffe, hartebeests and many other animals. Day 5: After breakfast, morning boat cruise upstream to the foot of the mighty falls. En route, you will see hippos, crocodiles, waterbuck and lookout for the dazzling red throated bee eaters, goliath heron, and if fortunate, the very unusual shoebill stork [whale headed stock]. The boat stops just tens of meters from the "Devils Cauldron". Take pictures of the photogenic and majestic Murchison Falls. Day 8: After breakfast transfer to Entebbe airport for onward flight. End of tour! !